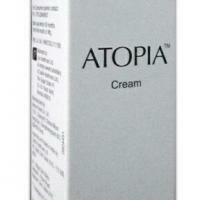 Atopia Cream posted a blog. Atopia cream which is manufactured by ZYDUS CADILA HEALTHCARE LTD and distributed by ANN Pharma and Food Solutions Pvt. Ltd. composed of the below ingredient explained in details: Sorbitol Sorbitol is a polyalcohol. In cosmetics and personal care products, Sorbitol is used in a wide range of products including aftershave lotions, baby shampoos and hair grooming aids. Sorbitol is also used as a sugar substitute and is added to many foods. Cetearyl Alcohol Cetearyl Alcohol and the other fatty alcohols keep an emulsion from separating into its oil and liquid components. These ingredients are also used to alter the thickness of liquid products and to increase foaming capacity or to stabilize foams. Glycerin Glycerin is a well-known humectant that prevents the premature loss of moisture from cosmetics and personal care products so they don’t dry out. Other functions that have been reported for glycerin include, hair conditioning agent, oral care agent, skin conditioning agent—skin protectant and viscosity decreasing agent. Paraffin Ozokerite and other waxes thicken lipid (oil) portion of cosmetics and personal care products and help keep emulsions from separating into their oil and liquid components. These waxes lessen the brittleness of stick products and add strength and stability to lipsticks. These waxes also hold together the ingredients of a compressed cake. Related Article: Uses of Atopia Cream.